Bill Dillard was his instructor at Douglas. He had Basic at Macon and Advanced at Valdosta, GA. S/N: O-832063. Then to Maiden, Mo. with Troop Carrier towing gliders. Went overseas by Christmas 1944 to New Guinea. Then 378th Troop Carrier to Mindorro to Okinawa to Japan. Was flying C-47, C-46 and C-54’s Then back to the States to fly SAC. for 5 years. Then he got a degree at Indiana Univ. This was followed by 3 years in France and another tour of the Philippines. He retired to Miami in July 1963. He graduated from Moody Field. 1st Lt. S/N: T-63732. He was a C-47 pilot with the 403rd Troop Carrier Group 13th Troop Carrier Sqdn based in the Southwest Pacific and Luzon. He was a long time Post Office employee before his death in 1990. He graduated at Moody Field (S/N: O-833677). He graduated from Moody Field, Ga. S/N: O-833678. He was a pilot on B-17’s with the 483rd Bomb Group 840th Bomb Squadron flying with the Fifteenth Air Force based in Italy. He graduated from Moody Field, Ga. S/N: O-833679. He graduated from Moody Field, Ga. S/N: O-833680. He flew B-26’ s in England. 1st Lt.
Larry Rice was his instructor at Douglas. John graduated from Moody Field, Ga. O-833683. He went to the instructor’s school and returned to Moody to instruct for 1 year. Then he was checked out on B-24’s at Smyrna, TN. 2nd Lt.
Larry Rice was his instructor at Douglas. Gerald graduated from Napier, AL. S/N: O-834464. He was checked out in P-40’s. He became a pilot of a B-29 with the 444th Bomb Group flying missions from Tinian Island in the Central Pacific. On their 4th take off they crashed. He received a Silver Star for bravery for removing his co-pilot from the plane. He was in the hospital when the war was over. He made a career of the Air Force, serving during Vietnam, and retiring as a Colonel in 1974. He graduated with the 1944-G class from Advanced training, S/N: O-836555. Was in the 91st Bomb Grp. 324th Bomb Sqdn. per http://www.91stbombgroup.com/Dailies/401st1945dailies.html. He was shown as a First Lieutenant in the USAF reserves in 1958. 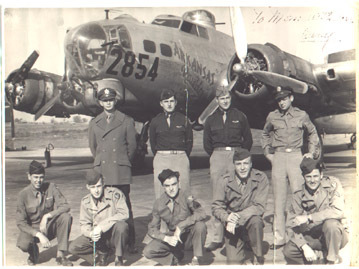 Flew B-17s during the War. In 1947, he joined the Wyoming Guard and in 1950 received a commission as second lieutenant as a tank commander with the 351st Armor. Officer 4 from the Wyoming Army National Guard. On May 16, 1944, while flying an AT-10 (S/N: 42-34894) as part of the 2144 Bomb Unit on a training flight from Moody Field, Valdosta, GA he had a landing accident at Bemis Aux Field, Valdosta, GA. He survived the crash. He graduated from Napier, AL. S/N: O-834566. He flew P-51’s in the 8th A.F., 55th Fighter Grp. 38th Sqdn. with the Eighth Air Force in England. Robert graduated from Moody, GA. S/N: O-833690. He was in the 8th A.F., 381st Bomb Gp (H), 535th Bomb Sqdn (H). On Mar. 30, 1945 he was pilot on a B-17G (S/N: 42-102590) with a 10-man crew on a mission to Bramen, Germany. At the target area around 24-25,000′ #1 engine took a flak hit and was feathered. The plane dropped out of formation because it could not keep up. As they were trying to intercept the formation at another point, some of the crew reported they saw four P-51’s swing around the plane. The P-51’s, believed to be manned by Germans, attacked and hit the left horizontal stabilizer, tearing it loose about a foot or two out from the fuselage and setting No. 2 and 3 engines on fire. Bennett reported it was a ME-262 (one of the 1st jets) that hit them rather than P-51’s. The B-17 went into a dive, Bennett pulled it out of the dive, and most of the crew, including Bennett, were able to bail out (MACR #13542). It was his 30th mission. After he spent several months in Stalag 1, he was liberated by the advancing Russians. He was discharged in 1945. Then he joined the National Guard. He became a full time Technician with them, including flying tankers out of Knoxville, TN. He retired in 1978 with 35 years of service. Lt. Col.
Al Crisler was his Instructor at Douglas. He graduated from Moody, S/N: O-833691. Then instructed Twin engine at Moody. Later he was in the 8th A.F., 92nd Bomb Grp., 407th sqdn. in England and flew B-17’s, B-29’s and later B-47’s. He also flew the last raid in WWII. Later was flying B-29s and P-47’s at Barksdale, LA. Then he was in the Missile Program at Huntsville, Ala. He had a 23 year career in the A.F. Lt. Col. He graduated from Moody, GA S/N: O-833693. He then instructed twin Eng. at Moody. He also was a flight Engineer on B-29s. 1st Lt. He graduated as a bombardier from Deming, TX with the Class of 44-47 on November 18 1944. He graduated from Moody Field, GA as F.O. T-63741 and later was commissioned and obtained S/N: O-2027214 . He was in the 380th Bomb Grp, 530th bomb Sqdn and flew B-24’s in the Pacific and from the Philippines. 1st Lt.
On Dec. 9, 1944, he was flying a P-51D (S/N: 44-15676) with the 336 Combat Crew Training Station at the Sarasota AAF, FL when he had to bail out due to engine failure. His family reports that he went on to fly in the “Flying Tigers”. Click here for his entry on FindAGrave. At the onset of World War II, Bob was enrolled in a machinist course at Alfred University and working at Foster Wheeler making steam boilers for the Navy. He immediately enlisted into the Army Air Corps pilot training. He completed all requirements and was called to duty on Dec. 3, 1943. He did basic training in Atlantic City and college preparation classes in Birmingham, Alabama. Bob said that they put them through four years of college in two months. From there he went to Douglas, Georgia for two months of primary flight training. 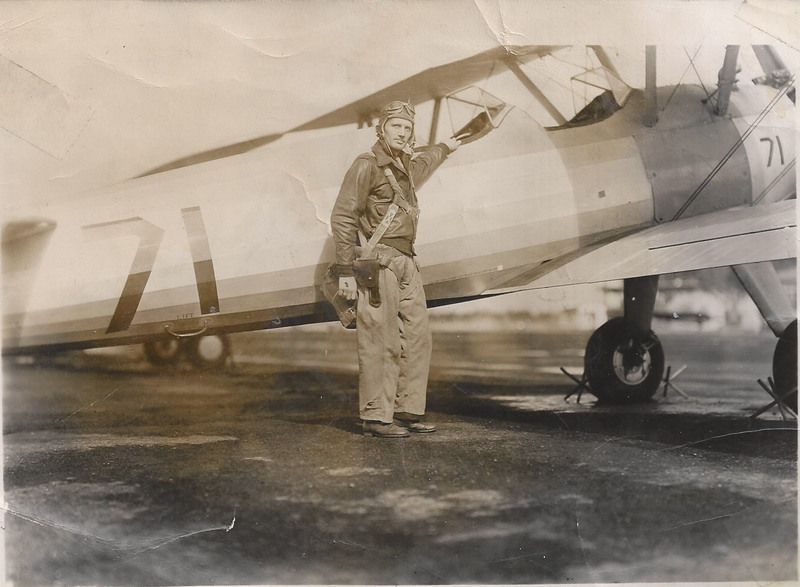 After graduating and receiving his pilot’s wings in 1944, he was commissioned a Second Lieutenant and assigned to troop carrier training in Missouri. He served the remainder of the war in the South Pacific in a troop carrier unit flying cargo and personnel within the combat area. He served from New Guinea to Japan. He flew C-46 and C-47’s with the 375th Troop Carrier Group. Bob landed the second plane in Japan as the surrender was being negotiated. Discharged in 1946, he served in the Air Force Reserves until 1958 and promoted to the rank of captain. Born Aug. 20, 1923, in Hornell, N.Y. In January 1947, he was killed in a crash while flying an AT-6F (S/N: 44-81822) in the 470th Bomber Unit out of Orlando, FL. The crash occurred at the Naval Air Station at Banana River. He had returned home from overseas about a year before. The plane crashed in 15 feet of surf and the cause was unknown. One other person was killed in the crash. See http://ufdc.ufl.edu/UF00079944/00192/2j of the Orlando Morning Sentinel, Jan. 14, 1947, p. 2. He was in the 444th Bomb Grp. Died Oct. 25, 2010, Mount Prospect, IL. S/N: O-834560. He was in the 303rd Bomb Grp (H), 359th and 427th Bomb Sqdns. 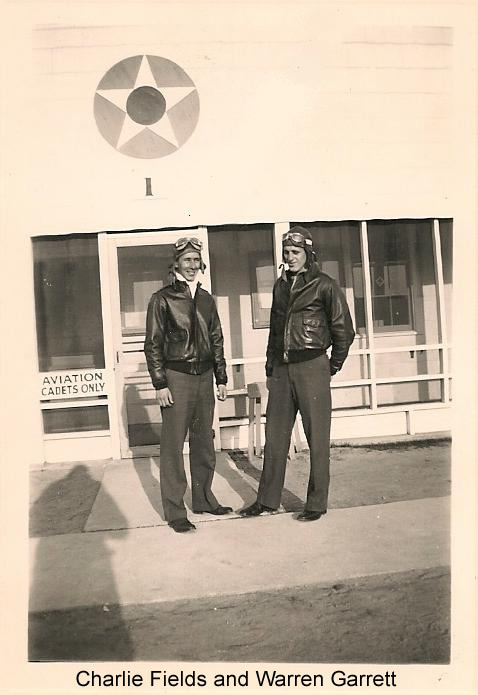 He was a copilot on B-17s and was on Mauger’s crew and became a P.O.W. on his 28th mission on 04-25-45 (the date of the last 8th Air Force combat missions – see http://www.303rdbg.com/359mauger.html). On a mission to the railroad yards at Pilsen, Czechoslovakia, his B-17G (S/N: 44-83447) was hit by flak just after bombs away. The plane and cockpit caught fire, and Burgess and the pilot were blown out of the plane. Two of the crew were killed. The rest of the crew bailed out. He and tail gunner Earl M. Dugen were taken prisoners. 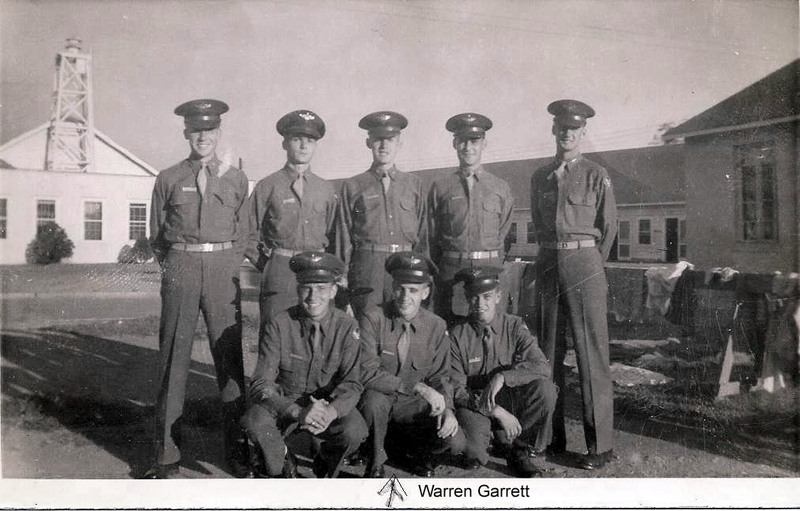 Upon his return, he was assigned to the 4446 Service Unit – Patient Detachment, Rome, GA. (MACR #14223). Flight Officer S/N: T-064632. He was later commissioned and given new S/N: O-2024500. He was in the 23rd Fighter Gp. and was a fighter pilot in the “Flying Tigers” fighter group of Maj. Gen. C. L. Chennault’s 14th Air Force in China probably starting in February 1945. Click here for an article in the Red Bank Register (N.J.). He retired as major on 01/07/1963. S/N: O-834574. He was in the 359th Fighter Grp. from Mar. 25, 1945 to Sept. 1945. He served in the U.S. Air Force for 21 years. He was a veteran of World War II and served in Korea and Vietnam, retiring as a lieutenant colonel in 1965. Died April 16, 2007 in St. Augustine, FL. He started at Douglas in 44E but most of his time was in 44F. He is in the Sqdrn 2 picture above. Aldo graduated from Napier Field, AL. He was in the Tactical Recon Squadron. He served with Gen. Chenault’s 14th AF (“Flying Tigers”) in China flying P-40’s and P-51’s. 1st Lt.
On Mar. 26, 1945 while in the 112 AAF Bomber Unit at the Combat Crew Training Station at Westover Field, MA, he had a taxiing accident in a B-24J. Click here for a possible entry for him on Find-A-Grave. He graduated from Napier Field, AL. S/N: O-834579. He Served in the 13th A.F. in the S.W. Pacific as a Co-Pilot on B-24’s. 1st Lt. He was in the 440th Troop Carrier Group and received an Air Medal. S/N: O-930388. 2nd Lt. Was in the 456th Bomb Group, 744th Bomb Sqdn, where he was co-pilot on Paul Schmidt’s crew. He flew 100 missions in Korea and served in Vietnam. He retired Major USAF Reserve April 1966 (from 456thbombgroup.org newsletter, Vol. 5 No. 2 Sep 1995, p. 12). Winchester, IN.He was 33 when he disappeared. He graduated from Moody Field, Ga. S/N: O-833710. He flew 5 missions in a B-17 over Germany. He stayed in the reserve to advance to Capt. Charles had Basic at Macon and graduated from Moody Fld, GA, S/N: O-833711. He served in the So. Pacific flying B-24’s on weather and observation flights. He was based on Guam for a period. 1st Lt. Started in Class 1944-E but finished in Class 1944-F. He became an Air Transport Command ferry pilot over the “Hump”, for which he received the Air Medal (per campus newspaper article at http://texashistory.unt.edu/ark:/67531/metapth313430/m1/2/zoom/, p 2, Feb 8, 1946). Later he became an assistant flight commander / flight instructor at Graham Air Base in Alabama. He moved back to East Texas after the War. He graduated from Napier, AL. T-64035. He Served in the S.W. Pacific, based on Guam flying in B-29’s. He had Basic at Macon. He graduated from Moody Fld, GA. F.O. T-64752. He was checked out on C-47’s. He went to India with the 2nd Combat Cargo Sqdn., 1st Combat Cargo Group. He had 202 combat missions and 526 combat hours. After the war he worked for the Federal Aviation Administration. He retired in 1980. His final rank was Flight Officer. He graduated from Moody Fld, Ga. S/N: O-833718. He was in the 12th AF, 17th Bomb Group, 34th Bomb Sqdn. On Mar. 23, 1945, he was co-pilot on a B-26 (S/N: 42-95786 “Skipper”) flying from Dijon, France on a bombing mission to Heidelberg, Germany. His plane was hit by flak after bombs away. The engine and wing caught fire. The crew bailed out. He and the rest of the crew were eventually returned to Allied control (MACR #14038). He graduated from Napier, AL. S/N: O-834590. He flew P-51’s in the 8th A.F., 20th Fighter Grp. 55th Sqdn. with the Eighth Air Force in England. Served more than 26 years in active duty, mainly as a pilot, and attaining the rank of Major, before his retirement in 1968. As a pilot, he flew missions in World War II, Korea and Vietnam. Died March 4, 2013, age 90. Born in New York City, NY, he had lived in New York prior to entering the US Air Force. Afterwards he lived in Harrisburg, PA. Wife of 46 years, Nancy M. (Perrotta) Del Vecchio. Buried Indiantown Gap National Cemetery in Pennsylvania with full Military Honors. He graduated from Moody Field, Ga. S/N: O-833721. He trained with the 382nd Bomb Group 464th Bomb Squadron to fly combat with the B-29, but the war ended before he could get to the Pacific. He was a pilot on B-26s with the 394th Bomb Group 586th Bomb Squadron flying with the Ninth Air Force over Europe. He graduated from Moody Field, Ga. S/N: O-833724 He went to a P-38 school, later instructed in B-25’s at Moody. 1st Lt.
Click here for his picture at Douglas with Warren Garrett. He graduated from Moody Field, GA as a F.O. T-64767. He flew during W.W.II and was in Air-Vac during the Korean War. His name appears in Hamilton Field Diary: The Country Club Airbase. He attained the rank of Lt. Colonel. Possibly his obituary at Findagrave. He graduated from Moody Field, Ga. S/N: O-833731. He was a pilot on B-24’s with the 454th Bomb Group 736th Bomb Squadron flying with the Fifteenth Air Force based in Italy. Enlisted in Army Air Corps, 1943. 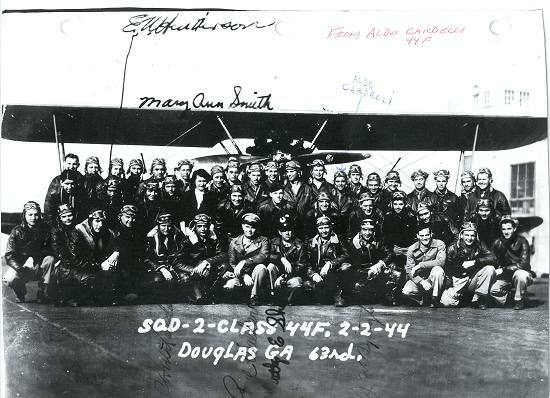 Known to be stationed in Douglas, GA (Primary Flying School); Shaw Air Base, SC (possibly Basic Flying School); Wilkins Park Air Base, OH (unknown duty). Active duty in Japan and Korea. He was stationed in Okinawa in the 1940’s. He flew B-29s. Davis-Monthan AFB – Tuscon, AZ – Late 1940’s – Early 1950’s. March Air Base – Riverside, CA – Early 1950’s. Torrejon Air Base – Madrid, Spain – Early-Mid 1950’s. Glasgow AFB – Glasgow, MT (served as Marshal of Security Forces, SAC) – Mid-1950’s-Early 1960’s. Redstone Arsenal – Huntsville, AL – 1960’s-Retirement. Retired from US Air Force as Major. Born May 27, 1924. From Morristown, TN. Graduated from Morristown High School, 1942. Married Stella Mae Cason on October 25, 1942. Died December 12, 1985, Huntsville, AL. Click here for his picture at Douglas. Click here for his picture at Douglas with Charlie Fields. Click here for his picture in a training group after Douglas. He graduated from Moody Field, Ga. S/N: O-833736. He was a pilot on B-24’s with the 7th Bomb Group 492nd Bomb Squadron flying with the Tenth Air Force based in Eastern India and was Killed In Action on May 5, 1945 in India. S/N: O-928754. He was a pilot on B-24’s with the 485th Bomb Group on detached service with the 885th Bomb Squadron flying special missions with the Fifteenth Air Force based in Italy. He graduated from Moody Field, Ga. S/N: O-833755. He was a pilot on B-24’s with the 458th Bomb Group 754th Bomb Squadron flying with the Eighth Air Force based in England. Vincent ‘Bud” Schultz was his Instructor at Douglas. He graduated from Moody Fld, Ga. 2nd Lt.
Enlisted May 22, 1942. Graduated with S/N: O-833763. He went through training at Barksdale Field as a B-26 co-pilot in August 1944. S/N: O-928888. He was a pilot on B-24’s with the 93rd Bomb Group 328th Bomb Squadron flying with the Fifteenth Air Force based in Italy and returned from a mission safely on February 26 1945. He graduated from Moody Field, Ga. S/N: O-833767. He had Basic at Cochran Field in Macon, Advanced at Moody Fld, Ga. He served with the 13th A.F. in the South pacific. He had 37 missions in B-24’s. 1st Lt.
Enlistment Date 1:	27 Jun 1944. Release Date 1: 21 Nov 1946. Enlistment Date 2 (Air Force):	2 Jan 1949. Release Date 2:	1 Aug 1952. Info from Department of Veterans Affairs BIRLS Death File, 1850-2010. Born: 5 Aug 1924; Died 30 Jul 2001. Jesse Bitterman was his flight instructor at Douglas. He graduated from Dothan, AL. S/N: O-834622. Then he went to the instructor school at Maxwell Field so that he could instruct at Dothan until the war was over. 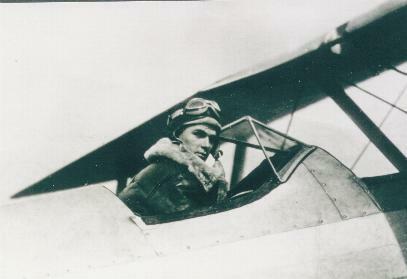 1st Lt.
Annin and Bitterman were his Douglas instructors. He graduated from Moody Field, Ga. S/N: O-833771. He served with the 7th A.F. in the Pacific. He was on Okinawa when the war ended, later he was with the 5th A.F. 1st Lt. He was in Squadron 5. From his obituary: He was enrolled at Auburn University, but he left his studies to enlist in the US Army Air Corps during WWII. He served honorably for four years off the coast of the Philippines. June 22, 1924 – Jan. 3, 2013. Of Huntsville, AL at the time of his death. He graduated with the Class of 44G. S/N: O-835358. He was a fighter pilot assigned to the 318th Fighter Group 333rd Fighter Squadron based on Okinawa and was killed in a flying accident on July 31 1945. Larry Rice and Earl Shipe were his instructors at Douglas. He started in class 44E but spent most of his time at Douglas in 44F. He graduated from Napier Fld, AL. S/N: O-834624. He served with the 8th AF., 353rd Fighter Grp. at Rodon, England. Later moved into France and Germany. He flew P-40’s and later P-51’s. He stayed in the Reserves for 7 1/2 years. 1st Lt. He graduated from Moody Field, Ga. S/N: O-833774. He was with the 8th AF. in Europe, flying B-24’s. He graduated from Moody Field, GA. S/N: O-833776. Then to Europe flying C-47’s with the 441st Troop Carrier Group 301st TCS. He went on to pilot B-17 Flying Fortresses in the 8th Air Force. In February 1945, he arrived at Ridgewell, England, assigned to the 534th Bomb Squadron (Heavy), of the 381st Bomb Group. During March and April of 45, he flew a total of 15 missions as the pilot-in-command of a B-17. 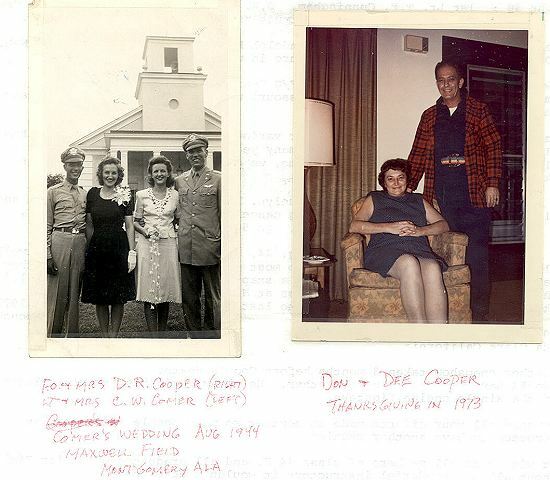 Married Elizabeth (nee Conley) in Milledgeville, GA in 1944. 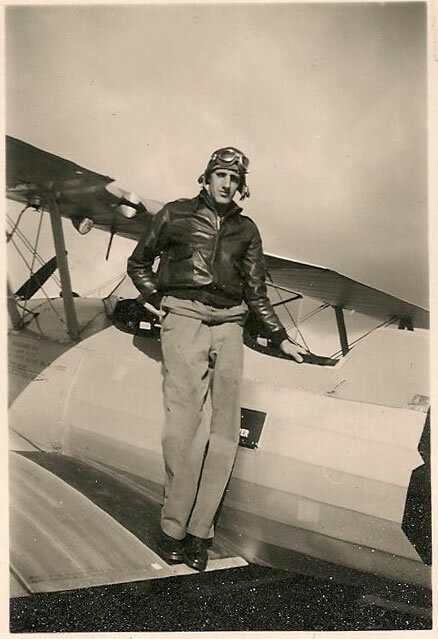 Click here for his picture after soloing in his PT-17. Click here for his picture with his training group. Gail Updike was his instructor. He had Basic at Macon and graduated from Moody Field, GA. as F.O. T-63775. He went into B-24’s and flew in Africa, C.B.I. (China-Burma-India) and Thailand. He stayed in the Reserve. 1st Lt. He graduated from Napier Field, AL. E.G. T-64053. 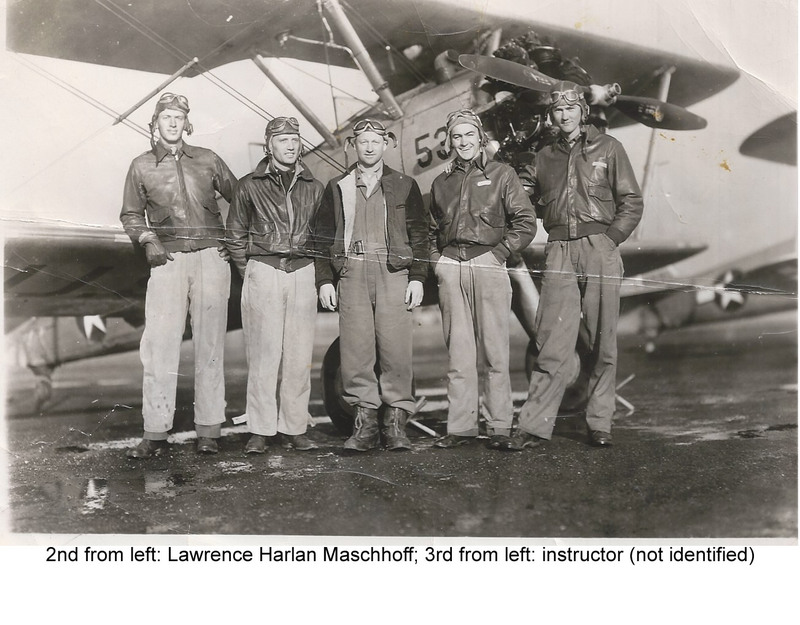 He went to the Randolph Flight Instructor school. Then instructed Basic at Gunter Field. Then he went to Multi-engine training. He was a Co-Pilot on a B-24 when the war was over. 2nd Lt. He graduated from Moody Fld, GA. S/N: O-833811. He was assigned to stay at Moody. 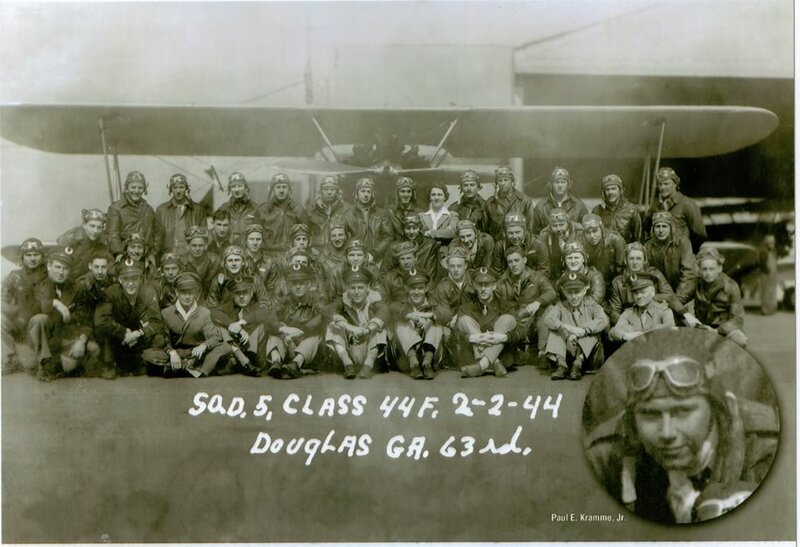 Next it was B-24’s in England with the 491st Bomb Group 853rd Bomb Sqdn assigned to the the 8th A.F. Then to Washington State in P-51s. He was discharged in 1945. Jack graduated from Napier Fld, AL. 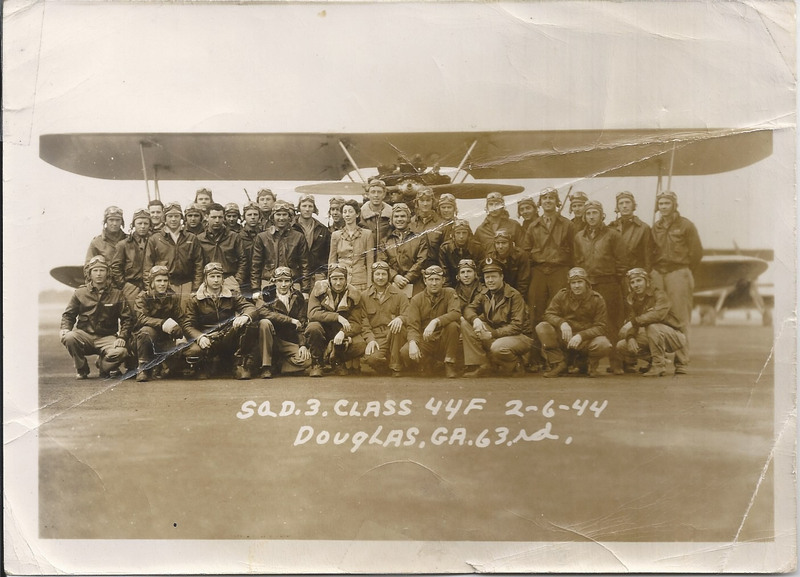 S/N: O-834664 and served in the 8th AF. in England flying with the 457th Bomb Group 750th BS and later fighters. He was released as soon as the war was over. 2nd Lt. He graduated from Moody Fld, GA as a F.O. T-63870. Assigned to 12th AF in Italy flying a C-47. Also flew air evac and resupply in Korea. Retired as Major.